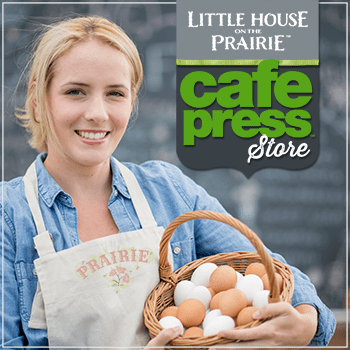 When you think of Little House on the Prairie, you may think of the covered wagon journey, Jack the brindle Bulldog’s loss and return, log cabin construction or fever ‘n’ ague. I think about potatoes. In a land that first appeared empty, the prairie bestiary in Indian Territory was so rich that Charles Ingalls saw a land of plenty. There were deer, rabbits, and beavers, minks and muskrats, wolves and foxes. He could hunt and trade the furs, turning pelts into plowshares, if you will, as well as into seeds and little luxuries for his family. When he traded his furs in Independence, Pa came home with seeds for the homestead garden — wheat, corn, turnip, carrot, onion, cabbage, pea, bean, the infamous watermelon, plus, for himself, tobacco. He also brought seed potatoes. Images taken from The World of Laura Ingalls Wilder© Copyright 2017 by Marta McDowell. Published by Timber Press, Portland, Oregon. Used by permission of the publisher. All rights reserved. As Charles Ingalls knew, potatoes have eyes — not to see with but to grow. Cut a seed potato in pieces with a few of these eyes on each piece and plant them. 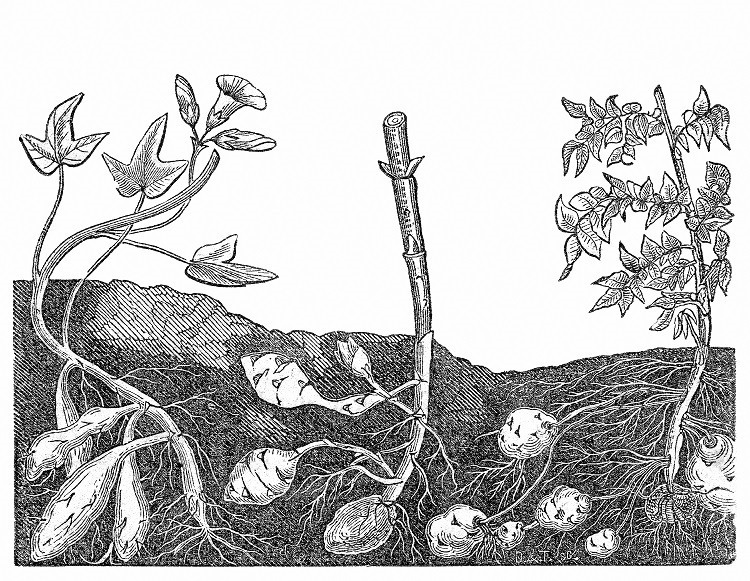 Thus the “seed potato” isn’t a seed at all, but a tuber, an amazing underground stem that puts out shoots from nodes that spiral around it, shoots that morph into leaves or roots depending on their orientation in the soil. 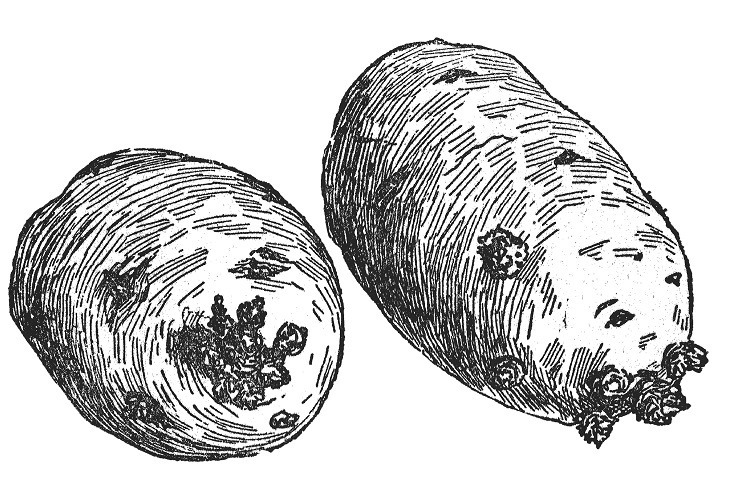 As they mature, the roots develop tubers — the appendages we called potatoes. It’s likely that Charles Ingalls would have “chit” his seed potatoes, placing them upright in a bright window where they wouldn’t freeze to encourage their green shoots to get a head start a few weeks before planting. 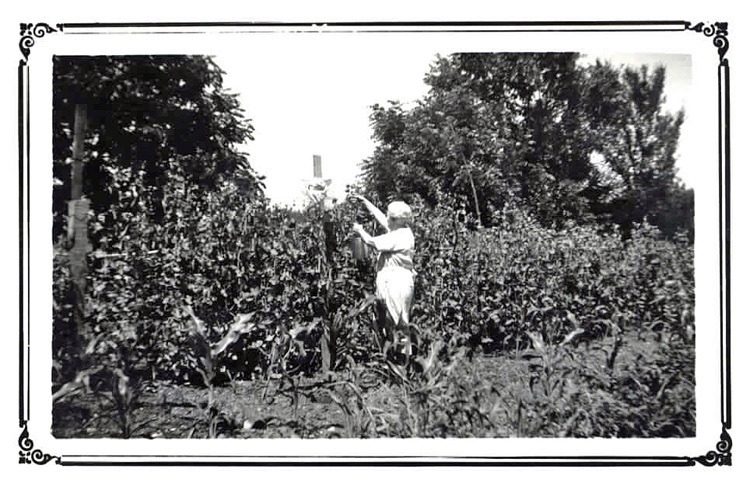 While he did that, Ma would also get an early start on the season, sowing her cabbage seeds in wooden flats indoors. 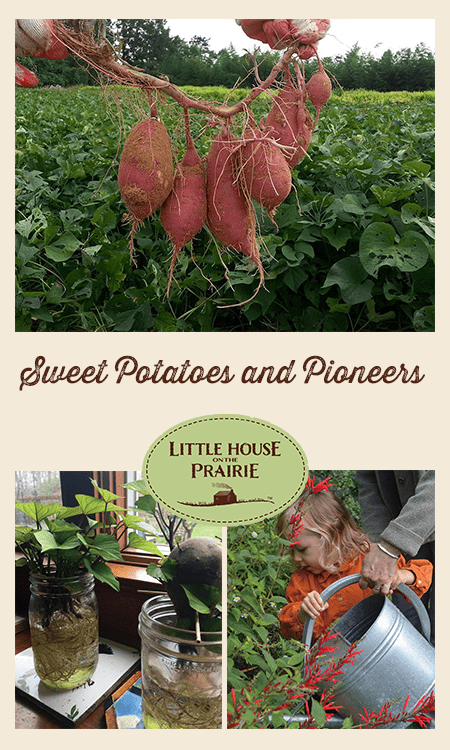 In the many gardens of varying locales that Laura Ingalls Wilder described through the years, the sweet potato appears only on the farm in Little House on the Prairie. Sweet potatoes are a warm-weather crop and are linked in the book to the energetic Mr. Edwards, that “wildcat,” whose Tennessee home state remains a center for fine sweet potatoes. In the story, it was Edwards who, crossing the flooded creek to assist Santa Claus, delivered gifts for the girls’ stockings and nine sweet potatoes to go along with the Christmas turkey. Seventy-five pages later, we learn that his sweet potatoes were the gift that kept on giving. Ma held one of the sweet potatoes back and planted it for the next year’s garden. The sweet potato is a tuberous root. It doesn’t have eyes per se, but give it some moisture and green shoots will pop out from growth points around the bulbous mass. Caroline Ingalls could have easily propagated her held-back holiday sweet potato into a substantial field of vines for the following summer. She would have set the root end of her sweet potato in moist soil or water and been rewarded with sturdy shoots. When the shoots had strong stems and leaves, she would have popped these slips from the mother plant and planted each one to develop roots of its own. Each healthy slip could produce up to ten pounds of sweet potatoes. A miracle of multiplication. We can learn from Laura. Garden with a child, even if you need to borrow one. Children find every acorn of interest and think pulling a radish out of the ground the most exciting thing ever. 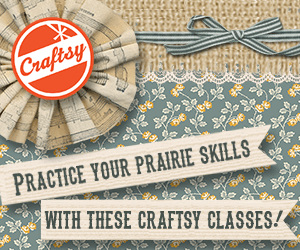 Plant extra flowers so that they can always pick a few stems and make pretty hair wreaths. Or propagate a sweet potato, just as Ma did. 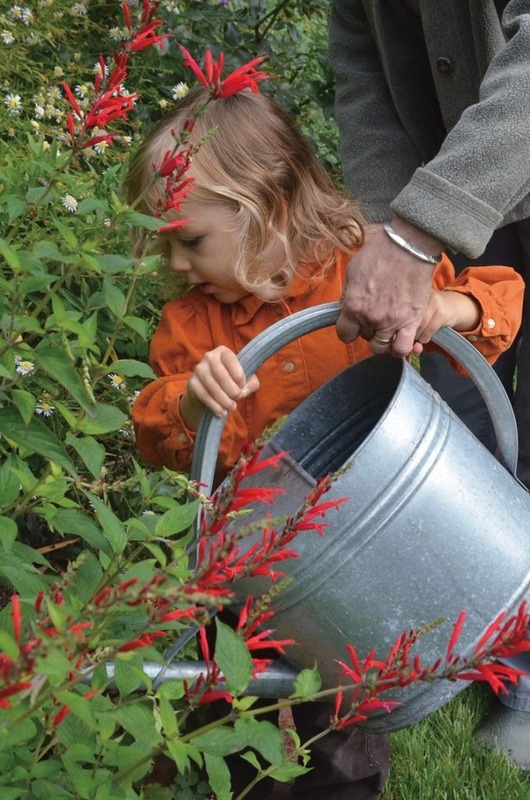 Wilder’s books inspire many plant-related projects for children and former children. 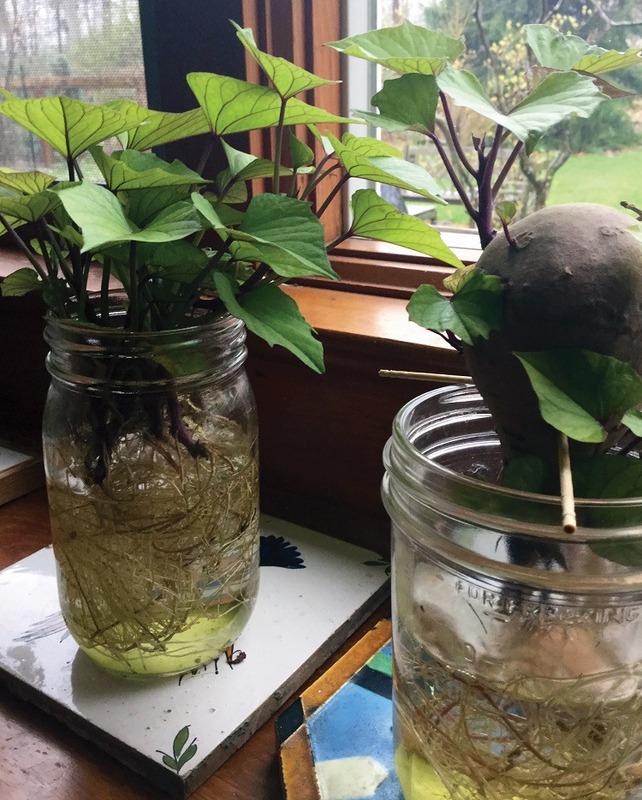 Last winter I started more sweet potato slips in pint jars in my sunny kitchen window. As I write this, they are growing gangbusters in our vegetable patch. When the days shorten, I will go out to dig them with the help of my granddaughter, in hopes of a good harvest. 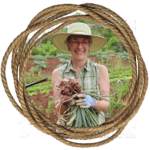 Most gardeners remember a garden of their youth, a place and often a person that sparked a lifelong pursuit of plants and the world outdoors. Perhaps for some child, that spark could be your garden and you. 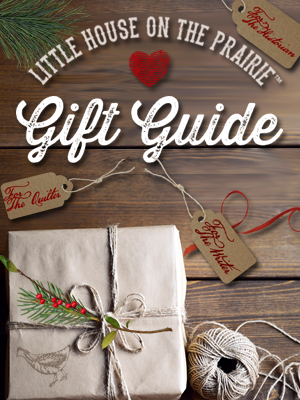 Enter to Win one of SIX (6) Giveaway Prize Packages with autographed copies of Marta McDowell’s wonderful books published by Timber Press as well as a DVD of “The Legacy of Laura Ingalls Wilder” documentary. To enter, U.S. residents, 18 years of age and older, can log into the Rafflecopter giveaway widget below. Use your Facebook account or name and email so your entries count. The first entry is the newsletter sign-up – confirm your subscription to unlock the other, optional entry methods. The giveaway will run from September 4 to 25, 2017. Winners will be contacted via email once their entry authenticity is confirmed. Enter below! Lovely website! 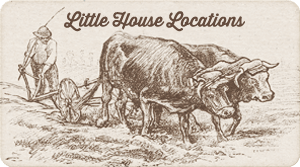 Even as a Grammy, I still enjoy Little House books and t.v. 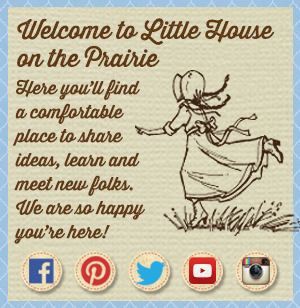 I am very happy to be able to watch the Little House series on COZI TV here in Lubbock Texas!! It is on at 9 am and from 4 pm to 6 pm!! Brings back so many happy childhood memories for me!! The show takes me back many years! !